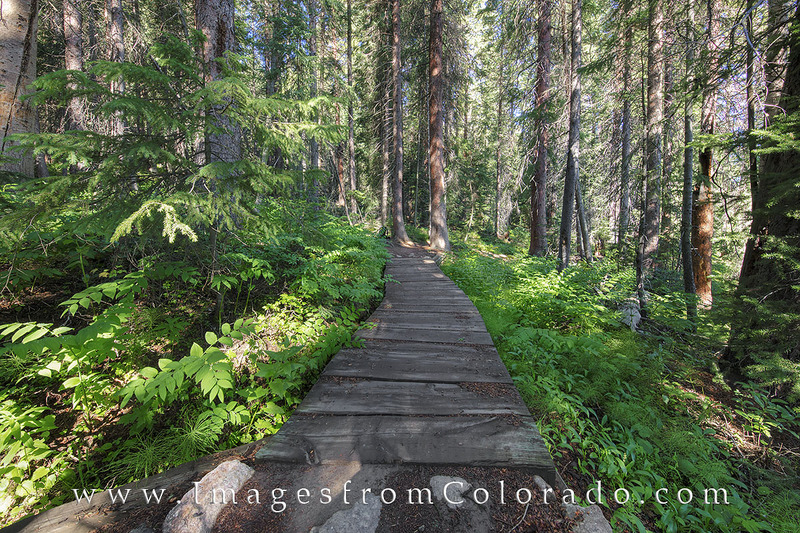 One of my favorite paths in Winter Park has several bridges to take you across small streams caused by snow-melt in the late spring. In the sprinkled light of early morning, the trail comes alive with lights and shadows and color. It makes for a great way to begin the day. Photo © copyright by Rob Greebon.